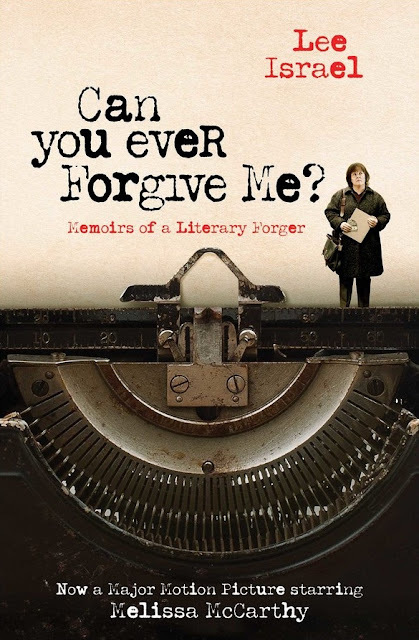 oz.Typewriter: Typewriter Spotting: Can You Ever Forgive Me? ... For Missing One (Or Two)? Typewriter Spotting: Can You Ever Forgive Me? ... For Missing One (Or Two)? 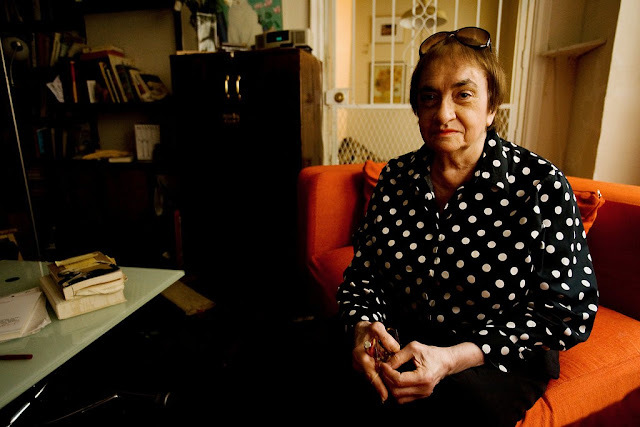 Israel rented a locker in an "ugly tattooed building" on Amsterdam Avenue. 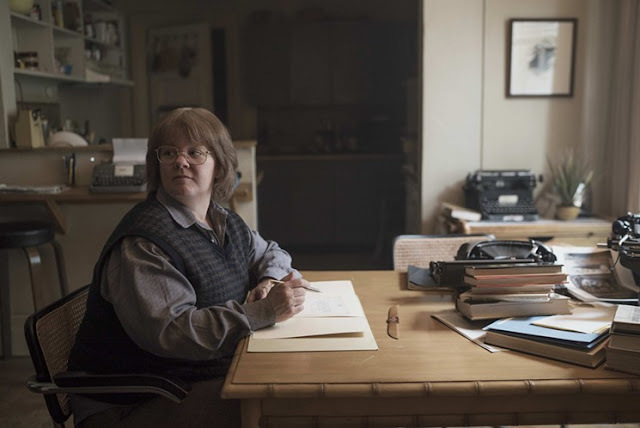 There she neatly stacked the typewriters on four wooden shelves - they were not, as the movie suggests, crowding out her apartment. The typewriter locker space "began to look like a pawnshop with a mighty distinguished clientele". 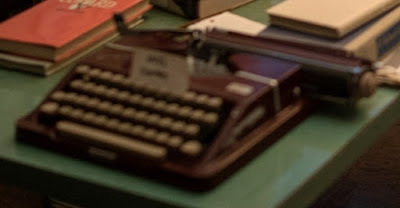 The first typewriter Israel-McCarthy buys in the movie, at the start of her criminal activity, is a Gossen Tippa Pilot. It's at the foot of the image at the top of the post, though out of focus. This specific purchase is presumably (as mentioned in the book) for letters purporting to be written by Dorothy Parker, though goodness knows why (other than Parker "having fun with the umlauts"). 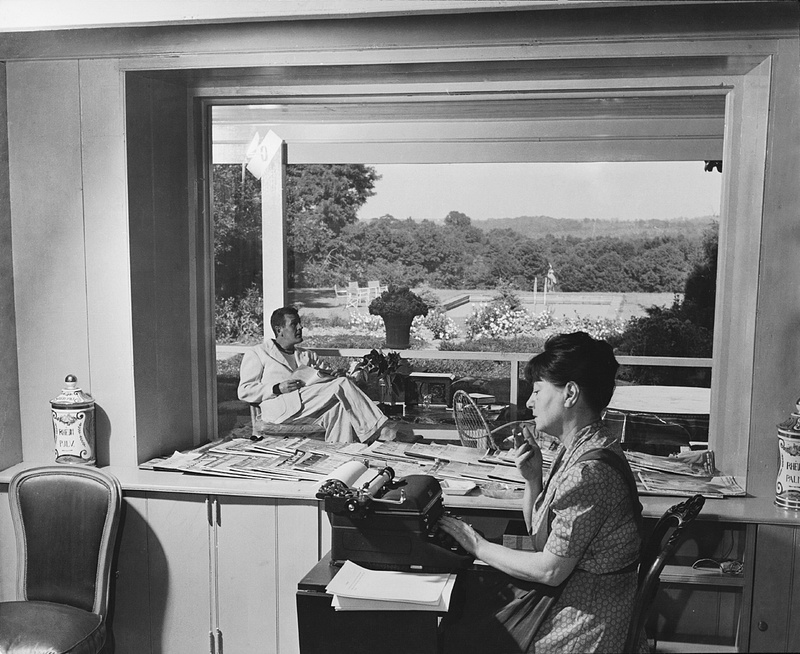 Yet in the movie it is labelled Noël Coward, the English playwright and composer,who did use just such a typewriter. McCarthy certainly needs a German-language keyboard, even if she doesn't type the letter ë in Coward's first name. 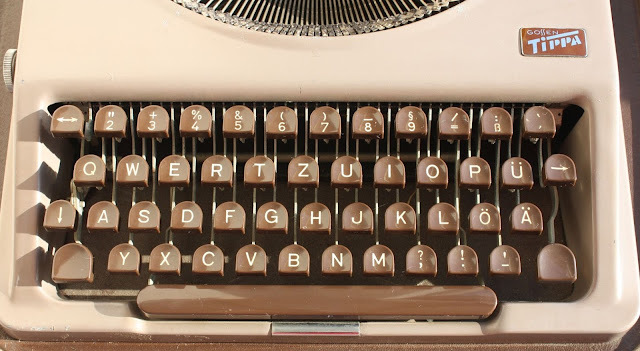 The ë appears quite frequently on screen, but I'm not convinced that even a German keyboard Tippa had an ë key. Israel wrote that, "I bought the first of a long and distinguished line of manual typewriters, a clattery, jet-black Royal [portable], old enough to have been used by Fanny [Brice] or, more likely, her secretary, from my neighborhood hardware store where various secondhand items were - still are - put on the street for quick sale: chipped china, worthless books, and old typewriters, the last singing siren songs to passing Upper West Siders nostalgic for the clatter of typing ... as opposed to the silence of keyboarding." Israel paid $30 for the machine and said its pica typeface was "similar to Fanny's." The first words Israel typed on it were, "Now is the time for Funny Girl to come to the aid of Lee Israel." 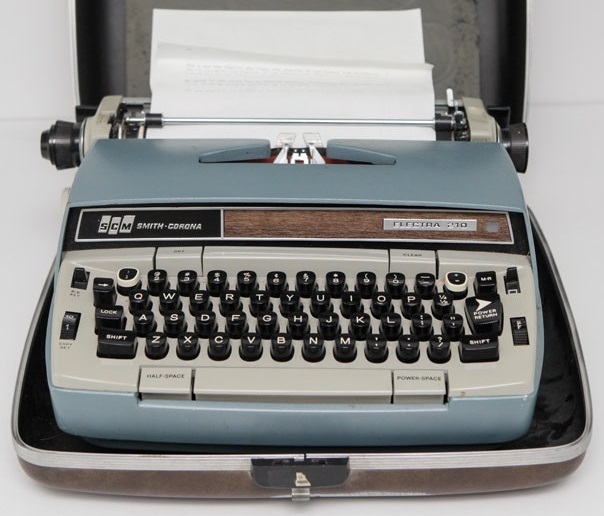 The movie begins in April 1990 with Israel-McCarthy using her own Smith-Corona Electra 210 portable. Or trying to use it, I should say. 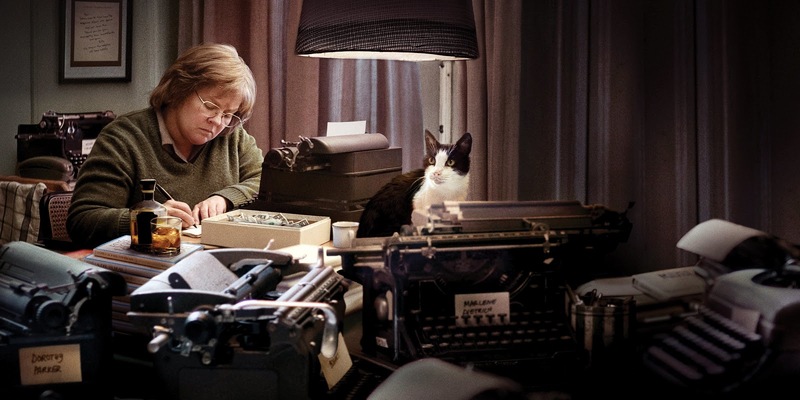 She is suffering from writer's block (an affliction she has heard Tom Clancy dismiss out of hand at a drinks party put on by her agent). 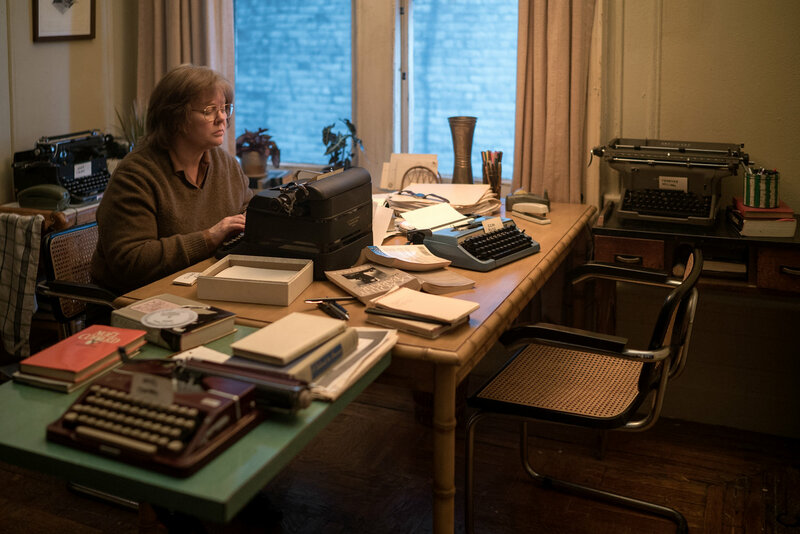 She types, “This is me f***ing using the typewriter.” Or not. in Bucks County, Pennsylvania, 1937. Noël Coward on a very British Imperial in Jamaica in 1953. Those are some interesting letters. Thanks for the movie report. I've not yet seen the movie. Maybe over the Christmas break I can find a copy or download. What an interesting blog and an interesting story. 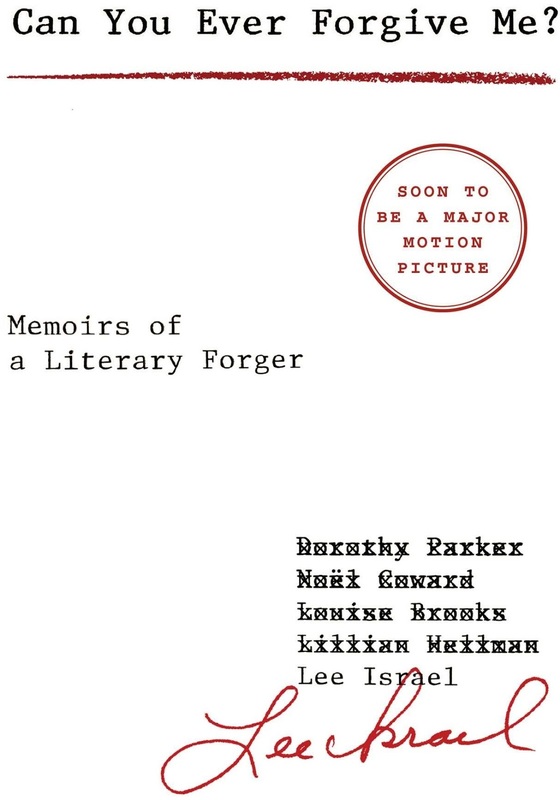 Who would have ever thought about forging letters from authors. 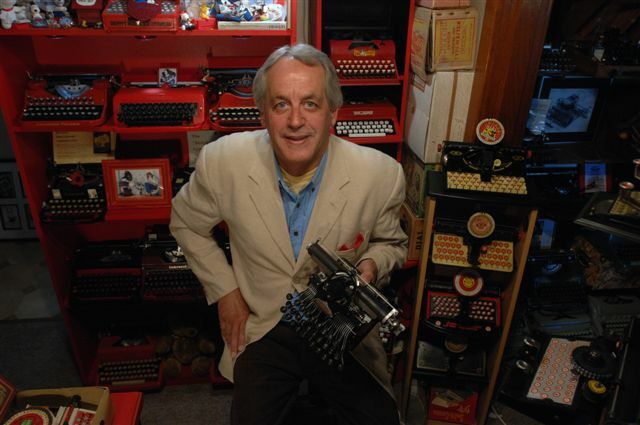 As for identifying writers typewriters there is only one major source - Richard Polk. I loved this movie. 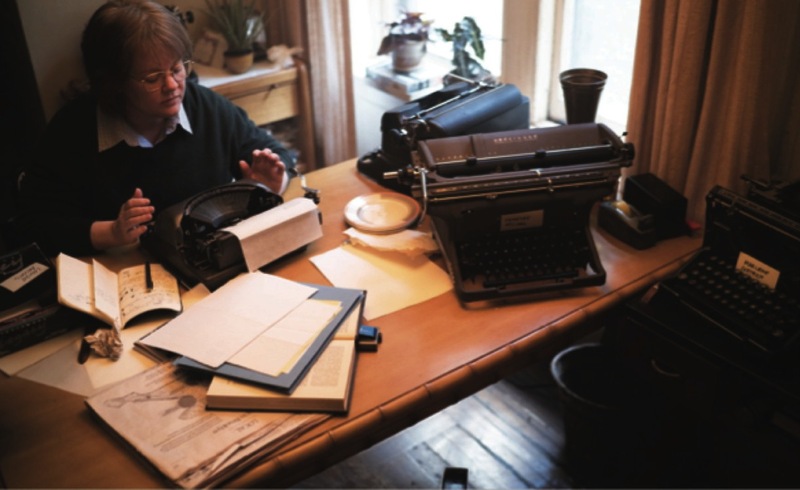 But did not love the final indignity done to the typewriters! Thanks for this, Richard! Hmmm, previous commenters are having a little trouble with our names! I still haven't had the chance to see the film, but am looking forward to it very much. Thanks for your background research. I wish they'd been real sticklers for authenticity. Instead, they have forged the forgeries, as it were. 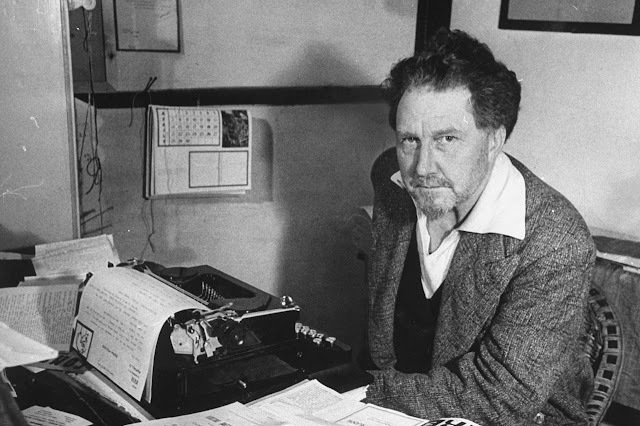 The idea of Ezra Pound using a little Brother is ridiculous! The film goes on general release in the UK on the 1st February.